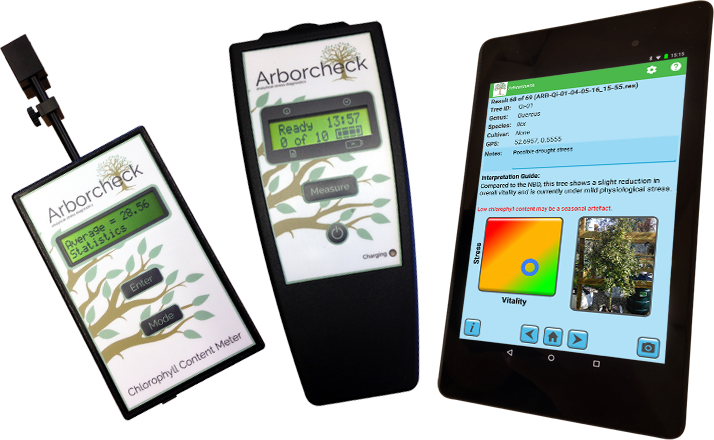 Arborcheck is a cost effective system providing arboricultural professionals with a convenient method of assessing the impact of stress on overall tree vitality. The system consists of 2 hand-held instruments which test different physiological characteristics of the leaf providing a detailed evaluation of the physiological performance of the tree. 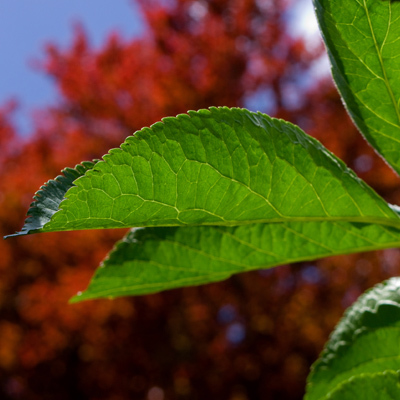 Results may be used as an indication of the early stages of decline due to stress or as supporting evidence for the findings of Visual Tree Assessments. 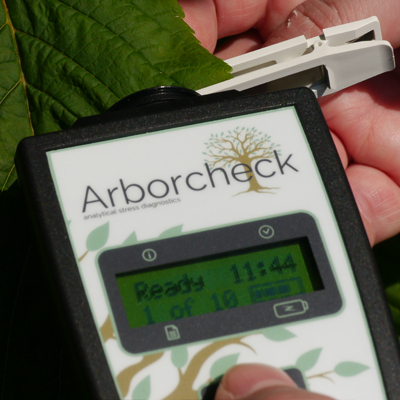 Arborcheck employs research techniques that are used widely by scientists all over the world as a means of detecting physiological damage caused by biotic or abiotic stress factors. 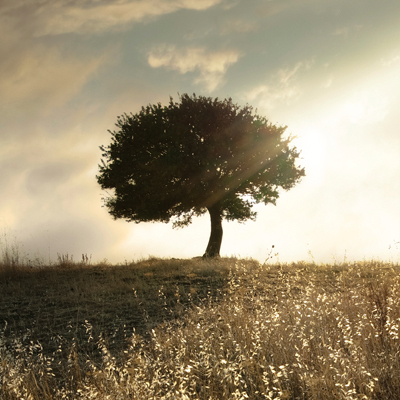 Photosynthesis can be inhibited by different stress factors in a variety of ways. 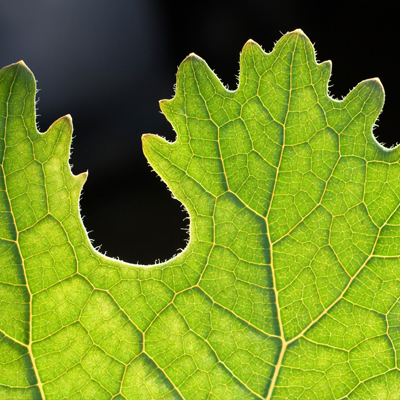 Issues such as drought and nutrient deficiency starve the tree of raw materials required for photosynthetic processes to occur whilst stress caused by herbicide damage can physically break down the structures within the leaf itself. The real power of Arborcheck lies in its ability to analyse recorded data from a particular tree against a species-specific database of benchmark chlorophyll fluorescence and chlorophyll content values for over 275 individual species/cultivar. 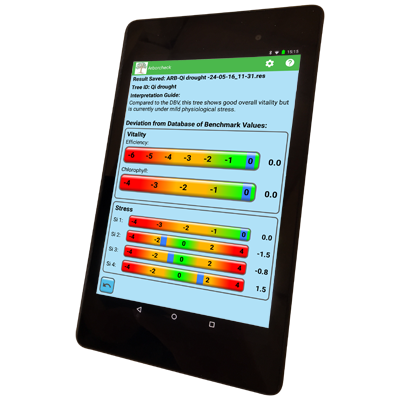 Data from the leaf fluorescence and chlorophyll content measurements is presented by the Arborcheck app for both overall tree vitality and current stress levels using clear, graphical data presentation techniques alongside a text interpretation of the recorded data. 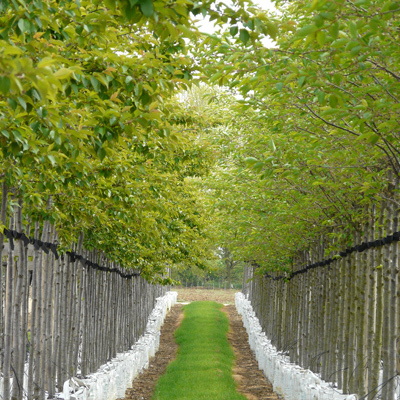 Arborcheck has a wide range of applications including informing biosecurity programmes, selection of planting stock, routine testing of planted stock, routine testing of trees pre- and post-development and regular assessment of physiological health as part of management regimes.